I want to make the hud in S1 flicker like in S3K rather than going red. 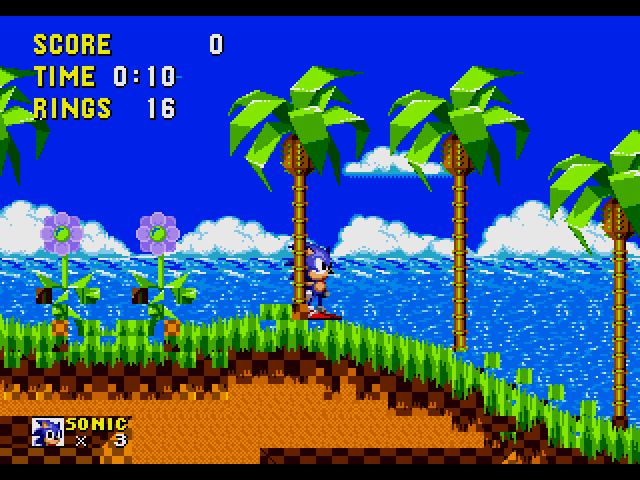 Semi-related, remember that there's a bug with the HUD in Sonic 1. It's quite easy to fix it, though. If you copy the code from the link above, make sure to remove the two instances of "playsound" (and the preceding $E2 moves), as I wrote it for someone who also wanted to speed up the music. Thank you, the Zyrinx driver works with Advanced Z80, still, I'm searching how I can make to work the pitch bend passing the octave note. I'll try to test the pitch up bend. There are loads of people on this board who know the answer already, but they probably haven't posted because it's lengthy to explain without leaving out information which you may or may not already know. Information such as; how the palette and tile data is stored digitally, or what many 68k instructions do. If you don't know this information, this is yet more information to have to explain in the post (before we've even gotten to the actual problem at hand), the post becomes really lengthy and bloated, and there's less of a guarantee you will get it. So as far as everyone's concerned, the answer is not worth it to explaining, and I concur with that. Now, keep in mind, this is not a hit against you, certainly not, it is just an explanation as to why no-one's been able to give a clear and concise explanation. I will be happy to give you a proper explanation if you'd like, but I have to make immediate assumptions that you know some of the more basic stuff such that I don't have to explain it. If you are still interested, then do reply and I will write something up, but do please give me a brief list of what you do know regarding art tiles, VRAM, palettes, sprites, mappings, the 68k, etc. This will help me cut the post (and my time) down. There is limited space in the VRAM, into which art is loaded to via address. Every tile of art takes $20 bytes of VRAM. Nemesis compressed art is organized via the Pattern Load Cues, which are typically loaded to by objects. From what it looks like, Uncompressed art, Enigma, and Kosinksi get loaded by setting a VRAM location in the code, and loading the art directly. Mappings organize how the art tiles and sprite pieces are ordered laid out, and how they are positioned on screen. As for palettes, the Sega Genesis/Mega Drive can only display 64 colors at once. Each color takes 2 bytes of data, for a total of $7F bytes of space at a time. Normally in Sonic 1, palettes get loaded to their own given RAM address space during the 'init' code of each gamemode, but they can be loaded/switched out on the fly as well by editing the given address of the palette. Now, from what I can tell, the Hud object itself (Object 21) only loads the text (other than SCORE's 'E'). The 'E', Zero, and the other numbers' mappings and are loaded by Hud_Base. I'd like to replicate the latter function (as I was able to edit the Hud object to only show RINGS), but due to my lack of understanding of how it all really works, I cannot. Thanks for all of your patience with my ignornace, and your help. As for palettes, the Sega Genesis/Mega Drive can only display 64 colors at once. Technically, it's 61, because color 0 is solid only in one of the palette lines, and transparent in the other three. Of course, 61 only applies to the case where you don't use advanced H-int tricks (e.g. what happens in water levels). I think you'll get it then based on what you currently know. I will try to keep the details low and get to the point. Let's start by setting the VDP. So this long-word is setting up the VDP to VRAM write mode at address 1860. This has now moved 0456 and 70FE into VRAM 1864 - 1867, the address has incremented again. This is a repeating process, and so long as you keep moving data into the VDP data port (C00000 - C00003), the data will be copied into VRAM incrementally. Notice the a0 being bracketed, and being suffixed with a +, this will cause the address of a0 to advance to the next long-word after every move. Evertime a tile is written, the dbf instruction will subtract 1 from d1, and as long as it hasn't gone below 0, it will jump back to "LoadTiles" over and over again, 8, 7, 6, 5, 4, 3, 2, 1, 0... Then it'll resume below and continue. Notice how the VDP data port was loaded into address register a6, when data is moved into a6 while it has brackets around it, the data is actually moved to the address that a6 has, so "move.w #$0123,(a6)" will move 0123 to address C00000. Now, I noticed in some code before, you had the following line "locVRAM $F2E0 ; set VRAM address", so I assume by this, the VRAM address these ring numbers are meant to go at F2E0? I am also going to assume that object's sprites are already mapping these tiles on-screen, and that all we need to do is write the uncompressed art to this VRAM address and everything will be solid. If this is not the case, then we may have found yet another issue which needs resolving (you can write art into VRAM perfectly, but it means nothing if there are no sprites or planes mapping out those art tiles). For now, let's just look at loading the uncompressed numbers correctly into VRAM F2E0+. The ring count, lives counter, and score, are all hexadecimal/binary numbers, and are not decimal, but, we would like to display them as decimal since the average human (let alone player) deals with numbers on a base 10 system rather than base 2 or 16. So we need to convert the hex numbers into decimal. The subroutines in Sonic games for displaying the HUD numbers, don't just copy uncompressed number art into VRAM, they actually realtime convert the hex number into decimal while writing the numbers to VRAM. This is done by subtracting the decimal 100's, 10's and units from the hex number. Remember the Hud_100 that's loaded into a2 in your code? This took 9 times, the last digit in our ring count (619). The subroutine "Hud_Rings" needs a6 to have the address of the VDP data port, it needs d0 to have the long-word VDP VRAM write address inside of it, and it needs d1 to have the number to convert and display. The subroutine will move the long-word address from d0 into the VDP control port, and it'll then convert the value in d1 into decimal, and write the correct tile art depending on the digit, into the VDP data port inside a6. The jsr will jump to Hud_Rings, and then once the conversion and dumping is done, it will return back to just after the jsr, and continue going down. But... we'll cross that bridge once we get to it. This is by no means the solution to your problem, but it should supply you with at least a decent amount of understanding and make fixing it a little bit easier. Get back to me on things like, where in VRAM the numbers are being dumped to, and whether or not the sprites are setup to display those numbers and so on, I would also like to know where (VRAM addres) and how (68k code) exactly you loaded the "RINGS" text art, this could be important. vladikcomper, ProjectFM, Natsumi and 3 others like this. Thanks again for your reply; I'll have to give it a more detailed read when I have more time tomorrow. In the mean time, here's some of the information you requested. In order to load the 'RINGS' art, I first made modified versions of both the mappings and art for the HUD that only include the 'RINGS' portion, and 'included' them within 'sonic.asm' near the other HUD files. cmpi.b    #id_Special,(v_gamemode).w ; is game on special stage? tst.w    (v_rings).w    ; do you have any rings? The value moved to 'obGFX(a0)' is the VRAM address I sent it to in the PLC's, divided by $20. The 'RINGS' art alone is fully functional. According to the SCHG, the numbers patterns use 24 tiles ($300 bytes), so I assumed that that they would fit where the unused 'ZONE 1-3' Blocks currently are, since those currently take up a combined total of 27 tiles ($360 bytes). That is why in the subroutine, I attempted to use 'locVRAM' (as honestly a bit of a shot in the dark there) to set the location for the art to $F2E0, where the free space is and dump it there, to no avail. I'll try again tomorrow though, using the new info provided above. This is my last post before Prospect, I don't know if I will be thrown into Limbo for bumping a couple of old threads, but either way, I apologize for doing that, I didn't quite grasp the rules when I first joined. I am working on a Sonic 2 hack called "Sonic: Project Eternal", and I was trying to change the music of my first zone to Marble Garden Zone Act 1, because it fits the midnight theme for the zone, but when I converted the BIN file with SMPSConv, then tested the hack, it would display a "soundBank "blahblah" must fit in $8000 bytes but was "$9876". Try moving something to the other bank." error, but I commented it out, but I played my zone, and the Title Screen music just hung on a note and stayed there, even when I pause the game. I thought it was because it was too big, but I still don't know about my theory, if someone can help me with this problem, that would greatly help. What program would I use if I wanted to edit the sounds in Sonic 1? Like the jump sound? Sounds have different header data, but otherwise are identical to regular SMPS songs. I'm not sure if any programs actually support the SFX header format, but I imagine that there simply must be some sort of tool or guide to convert between them. Making new SFX should basically be exactly the same as making music, provided you find a way to convert the "music" data into SFX data with that custom header format. As for simply editing them, I'd recommend trying to install SMPS2ASM and using that to fiddle with the sound data. It makes things a lot more self explanatory if your only goal is to poke around and experiment (I made the Sonic Odyssey red ring sound effect this way; if that's what your trying to shoot for, you might have some fun doing it this way). If you want to be more serious about it, there's probably a program you could use to edit it, I'm just not sure what can edit raw SMPS files, especially with the SFX header. Ah, yeah. I did try s1smps2asm, but probably because of the sfx header my disassembly just spewed out errors. I'll try the other one though. SMPS2ASMs' conversion program has a flag that needs to be set for it to detect SFX properly. "-s" will make it convert SFX instead of music. Yes, your new song is too big. 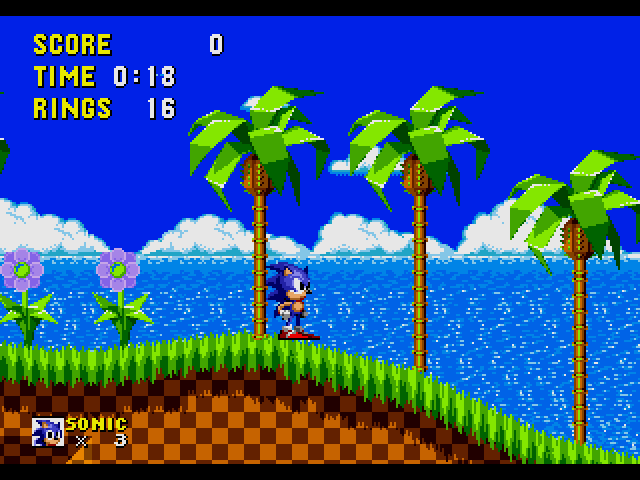 There are two sound banks in Sonic 2, at MusicPoint1 and MusicPoint2. MusicPoint1 contains only the continue music, while MusicPoint2 contains all the rest of the music and the sound effects. There are two ways you can try to fix your problem: you can move the new music file to the other bank, at which point you will also need to move the music pointer and change the entry in zMasterPlaylist to match the new bank; or you can make the sound effects their own bank by invoking the "startBank" macro on the line with the SoundIndex label, like MusicPoint1 and MusicPoint2 have. Also, just to be clear, when making music for Sonic 2, you either have to set the music's offset to $1380 and compress it with Saxman compression (with size), or include it as ASM and tell the driver it's uncompressed by adding 20h to the entry in zMasterPlaylist. Where is BossMove routine located at GitHub disassembly? I'm trying to edit LZ's boss but can't find the BossMove routine (though there is a branch to it). Open up sonic.asm, then use your text editor's search function and type BossMove: in the search bar. It should be right after the BossDefeated subroutine. If it's the Github disassembly, try looking in incObj folder. How I can fix or prevent this from happening? And I think I am back from the dead. Well before you do any art editing, you should merge GHZ's art into one file and make the title screen use separate art (I believe there is a guide for it). That may solve your problem by itself. EDIT: This problem has been solved, you can trash the post. I've added a 4th act to Molten Metro Zone (My Marble Clone) and it's mostly fine. I tried to edit the existing routine for LZ4 (SBZ3) but it never worked. Basically, I need to know how to get this level to load a unique pallet. P.S. Thanks for the HUD flicker MJ!